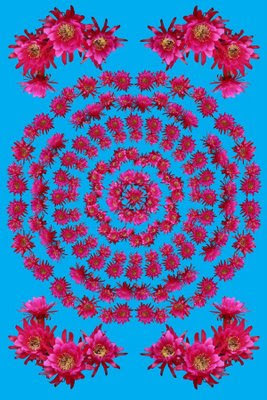 A new mandala made with hedgehog cactus flowers. You wouldn't expect such beautiful flowers to grow on a cactus. To me they are nothing short of awe inspiring. I hope you enjoy this as much as I do. This is flower mandala number six, so I am halfway to a calendar.